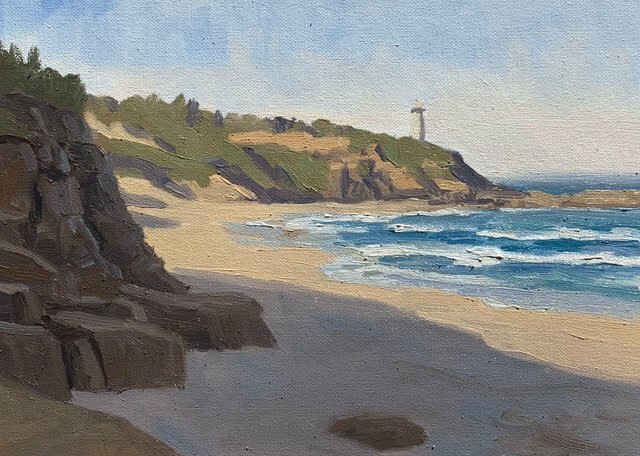 Plein Air Painting of Pebbly Beach and the Norah Head lighthouse. 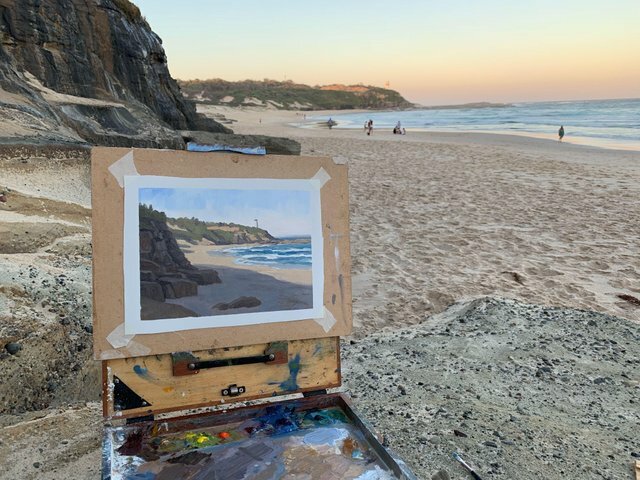 I’ve been doing lots of plein air painting whilst in Australia. I love this view of Norah Head especially the contrast of the foreground in shadow whilst the headland is in full sunlight. I painted this art work in oils, outdoors on location. Painting outdoors in known as painting en plein air, a French term for painting outdoors. Plain air painting is one of the things I wish I would be doing anytime soon. You got good skills by the way sir! Happy new year!